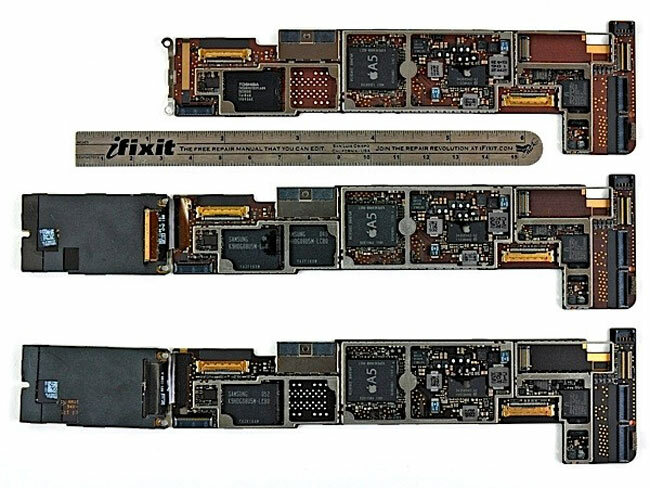 The team over at iFixit has been at it again, and stripped Apple’s new iPad 2 down to its bare bones, to compare the radio technology used in the different version of the iPad 2. Below the main boards are compared each boards looks identical on the right hand side, but the top ones is equipped with a Toshiba chip on the left while the other two use Samsung. The bottom two boards are also CDMA and GSM versions which are equipped with extra chips and technology on the left had side of the boards, to provide the communication from the CDMA and GSM. 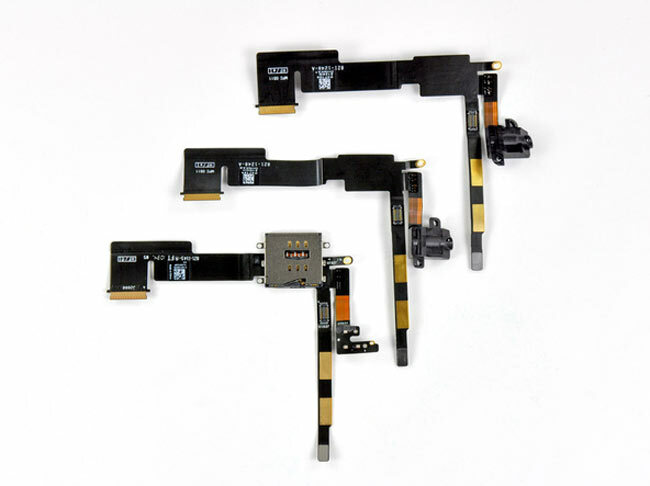 The image below shows all three of the headphone jack components, with the first two being identical and the third includes a microSIM slot for the GSM iPad 2 model. More detailed technical explanation of the images is available on the iFixit website, together with explanatory pictures of the devices and how the components fit together.